Simple Instagram Bot, the best Instagram bot. 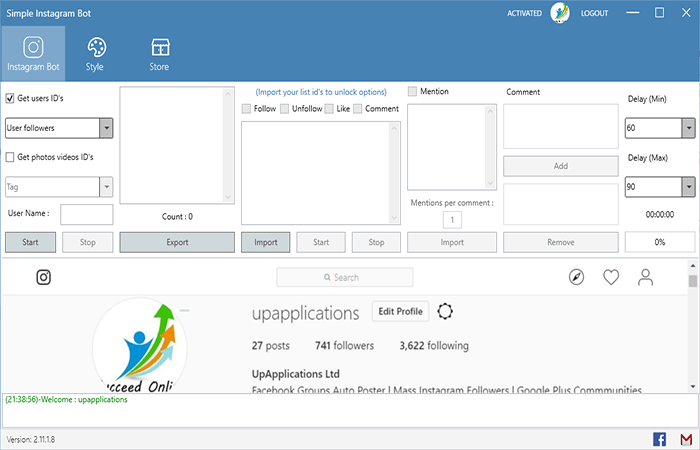 manage & Get more real followers, likes, comments on Instagram with Simple Instagram Bot.. Simple Instagram Bot is fully compatible with windows 10, windows 8 and windows 7 all versions 86/64.